MEDIA RELEASE: The Women’s EHF EURO will step into a new era from 2024 on as the EHF Executive Committee confirmed the expansion of the event from 16 to 24 teams. Meeting in Copenhagen, Denmark on the fringes of the Women’s EHF EURO 2020 Qualifiers draw and Conference for Secretaries General, the EHF Executive Committee has confirmed the expansion of the Women’s EHF EURO to 24 teams starting in 2024. 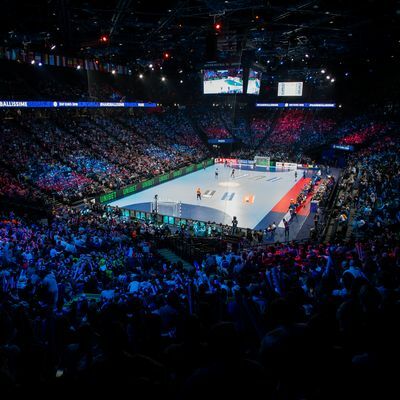 The decision brings the event in line with the Men’s EHF EURO, which will be played with 24 teams for the first time from January 2020 when Sweden, Austria and Norway will host the event. Following a decision by the EHF Executive Committee in January 2019 to evaluate the enlargement, a working group, made up of representatives from the EHF and its relevant bodies, as well as the federation’s new media and marketing partners Infront and DAZN, was created to examine the proposal. Based on the recommendations of this working group, the final event will expand from its current format with 16 teams to 24. National federations will subsequently be invited to bid for the 2024 event with joint bids from different federations also to be welcomed. The enlargement of the competition follows the IHF decision to expand the World Championship to 32 teams and is seen as an opportunity to further develop the profile and marketability of this top event as well as to involve more top nations in the competition. Additional measures, including education and development programmes, will also be introduced over the coming years to strengthen women’s handball in Europe and increase the number of players and national teams playing at the top level. In a next step an adaptation of the qualification system will also be necessary. The Women’s EHF EURO events have already been awarded for 2020 to Norway and Denmark and in 2022 to Slovenia, North Macedonia and Montenegro.